An Artesia man was arrested Thursday in connection with a shooting that took place in August. 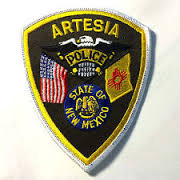 Artesia Police Department officers were dispatched Aug. 17, 2016, to the north alleyway of 10th Street and Washington Avenue in reference to an individual who had been shot. The male victim was transported by EMS to the Public Safety Complex for airlifting to Lubbock, Texas, but was conscious and able to speak to officers. The victim identified Jeffery Morgan, 22, of Artesia, as his assailant and stated he knew Morgan from time the two spent together in the Eddy County Detention Center. Officers subsequently received information the suspect had been seen running from a white vehicle to his home in the 1200 block of West Missouri Ave. Following a brief standoff, Morgan exited the trailer home and was taken into custody. Upon processing the scene at 10th and Washington, officers located one spent 9mm cartridge and obtained a warrant to search Morgan’s residence for the firearm. They located the weapon under a bathroom sink and also recovered five rounds of 9mm ammunition from the bottom of a toilet bowl. The APD made contact once more with the victim on Aug. 23 following his release from the hospital in order to verify the information he’d given him prior to airlifting on the day of the crime. The victim told officers Morgan had arrived outside his trailer window on the day of the incident inquiring as to the whereabouts of a neighbor. When the victim’s dog began barking, Morgan behaved as if he planned to shoot it, prompting the victim to exit the home and go outside to collect the animal. Once outside, the victim said, Morgan pointed the gun once again at his dog and, when asked not to shoot the animal, pointed the gun instead at the victim, stated “Why don’t I just shoot you,” and fired one round into the victim’s hand and thigh. A warrant was subsequently issued for Morgan’s arrest on charges of two counts of aggravated battery with a firearm, possession of a firearm by a felon, and tampering with evidence. The charges were filed Feb. 9 in Artesia Magistrate Court, and Morgan was taken into custody just after 10 a.m. Thursday. He is scheduled to appear for preliminary examination at 10 a.m. March 8.